If the police gave you a Wise County traffic ticket, you must take action quickly. You only have a few days to either pay your Wise County traffic ticket or request a court date. Your failure to do either will result in a warrant being issued for your arrest. The worst thing you can do is nothing, which means a warrant for your arrest will be issued. The second worst thing you can do for your ticket is simply pay it. Sure, it seems easier just to pay your ticket, but doing so can cost you money and frustration. 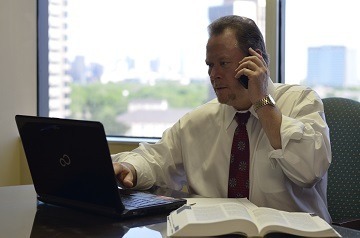 The better alternative is to call the attorneys with the law office of Todd E. Tkach, P.C. 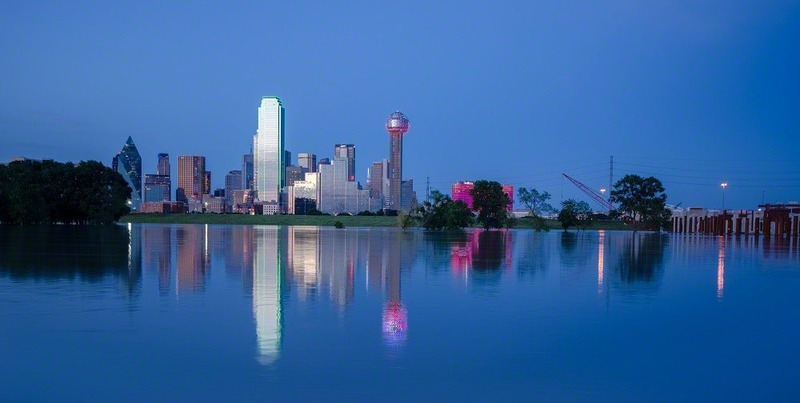 We represent people throughout the Wise County and Fort Worth metroplex for Wise County traffic tickets and traffic tickets in any other jurisdiction. The ultimate goal is to have your Wise County traffic ticket dismissed. If an outright dismissal can't be achieved, we'll aggressively negotiate with the prosecutors to keep the Wise County traffic ticket off of your driving record and reduce the fine as much as possible. Additionally, we'll make sure that your rights are protected and that you won't be subjected to surcharges and possible driver's. Many people don't realize that by paying a ticket, you are pleading guilty to the charge, which results in a conviction. 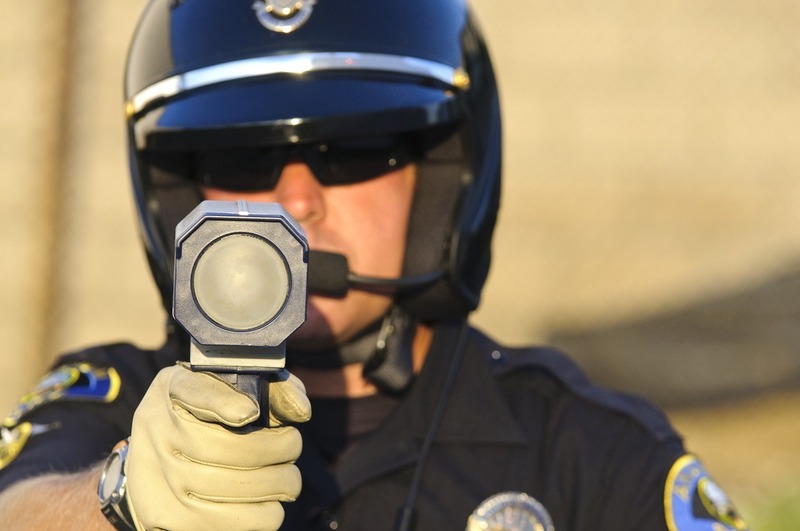 Convictions of Wise County traffic tickets or any traffic tickets is very bad. It can be very costly. First, by paying the ticket, you are probably paying close to the highest range of fines. Second, convictions stay on your driving record for three years. The more convictions you have, the more "points" you accumulate. Too many points and your driver's license will be suspended. Even if your driver's license isn't suspended, a conviction of a Wise County traffic ticket can raise your insurance rates immediately. Most auto insurance companies check your driving record before agreeing to insure you or to extend your current auto insurance policy. If you have convictions, you will have to pay more money for insurance coverage. The worst part is that your insurance company won't ever voluntarily reduce your insurance rates after the conviction is removed from your driving record. It's up to you to bring it to their attention. But, who can remember to do that? Most of us just renew our insurance, not thinking to question them about a better rate. So, the bottom line is that you may end up paying years of increased insurance rates due to only one conviction. Take the worry out of this process. It's not necessary for you to learn the Texas Transportation Code or the Texas Rules of Criminal Procedure. We've already done that and know how to use the substantive and procedural law to protect your wallet. 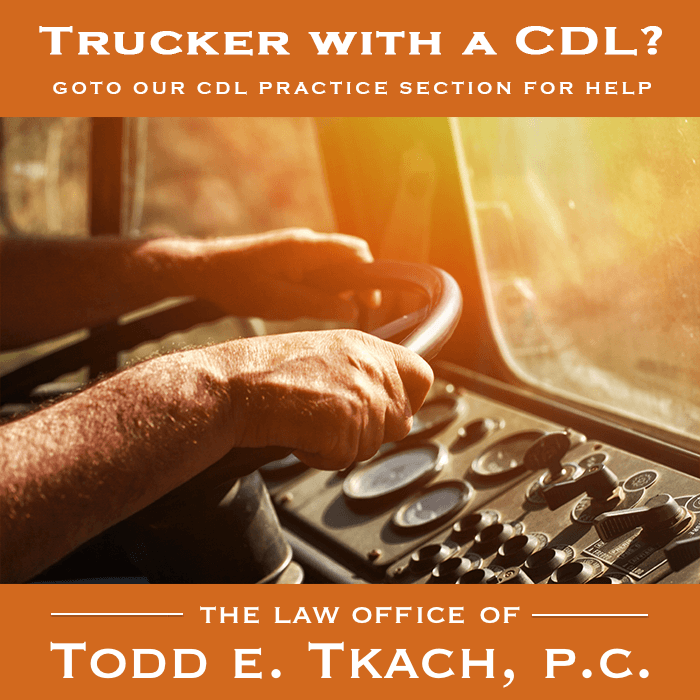 Call the Law Office of Todd E. Tkach now to talk with one of our courteous staff members, who can explain the Wise County traffic ticket process, answer any questions you may have, and ultimately resolve your case. With the attorneys of Todd E. Tkach, P.C. on your side, your worries are over. We’ll immediately enter a plea of not guilty on your behalf and set your case for a court hearing. We’ll then promptly notify you of your court date and clearly discuss with you the entire procedure we’ll take to pursue a dismissal of your Wise County traffic ticket case or a negotiated plea agreement in your favor. Of course, we’ll be with you on the date of your court hearing to fight for a dismissal of the charges against you. If your ticket is not dismissed, we’ll aggressively negotiate for a favorable plea agreement with the prosecutor or take your case to trial. Even if a warrant has been issued for your arrest, we can help. We’ll post an attorney bond to lift (remove) the warrant and then get your case set for a hearing. 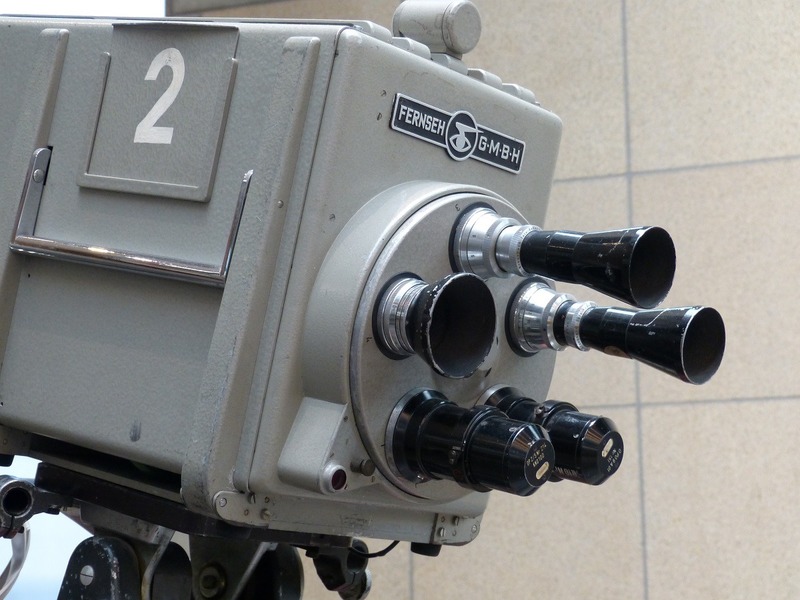 When the case is completed, we’ll promptly notify you of the result. You don’t even have to go to court, unless you want to. Don’t wait. Call Todd E. Tkach now at 214-999-0595. Why is it important to fight your Wise County traffic ticket? Simply paying your fine for a ticket means that you agree that you are “guilty” of the charge. 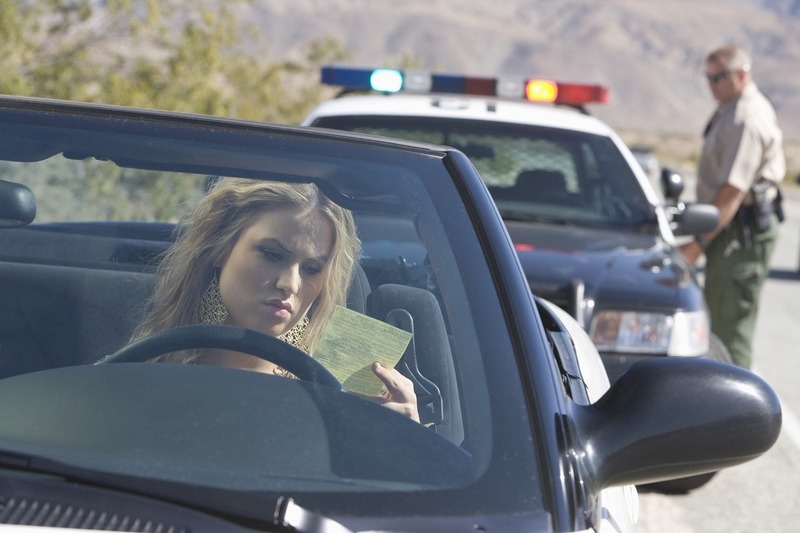 Being convicted of, or found guilty of a ticket can have serious consequences. There are at least four (4) major reasons to fight a Wise County traffic ticket. If you are guilty, you must pay a monetary fine. Depending on the violation involved, the fine could be several hundred dollars. Hiring Todd E. Tkach to fight your Wise County traffic ticket could result in a dismissal of the charges. In that event, you don’t have to pay any fine!! The State of Texas has a “Point System” that affects your right to hold and maintain a Texas driver’s license. You are charged “Points” against your driving record if you are convicted of certain violations. The number of “Points” charged varies depending on the type of ticket you are given, but ranges from one (1) to six (6) points. A Texas driver gets 2 points for most traffic violation convictions (3 points if a crash is involved). “Points” remain on a driver’s record for 3 years. Accumulating twenty-one (21) points in any three (3) year period will result in a suspension of your driver’s license. If that happens, you cannot legally drive an automobile in Texas. Let attorney Todd E. Tkach represent you on your Wise County traffic tickets and protect your driver’s license. Convictions of certain violations can cost you “surcharges” imposed by the Texas Department of Public Safety. A yearly $100 surcharge is assessed for 6 Points on your driving record; with another $25 surcharge for each additional point. That's $100.00 in addition to the high fines that were likely paid for those convictions. The surcharge continues to be assessed as long as the Points total 6 or more. Additionally, convictions for “no insurance” and “driving while license invalid” mandate a $750.00 surcharge each! Don’t risk being convicted of these violations. Call Todd E. Tkach now! We’ll fight for a dismissal of these Wise County traffic tickets and the surcharges that accompany them. If we can’t obtain an outright dismissal, we’ll fight to get a dismissal through plea negotiations and keep the charges off your driving record. Convictions of Wise County traffic tickets can raise your automobile insurance rates. Many automobile insurance companies check your driving record before agreeing to insure you or renew your automobile insurance. Having “convictions” for violations on your driving record can cost you a lot of money. Your automobile insurance company may increase your insurance rates when you apply for new insurance or for a renewal of your existing insurance. Avoid paying increased insurance rates! Call attorney Todd E. Tkach now to protect your driving record. All Wise County traffic tickets, code violations and other municipal tickets are “Class C” misdemeanors, according to the laws of the State of Texas. At the Law Office of Todd E. Tkach, we handle all types of Class “C” misdemeanors, as well as all other criminal code violations. All Class C misdemeanors in the State of Texas, including Wise County traffic tickets, are adjudicated in Municipal Courts and Justice of the Peace Courts. Although these are the lowest level of criminal courts in the State, some Class C misdemeanors can have significant and long-term effects. For example, multiple convictions for disorderly conduct can be enhanced to Class B or Class A misdemeanors, which carry jail time in their range of punishment. A conviction for a charge of Class C assault/family violence can be enhanced and can prohibit you from owning or possessing a firearm. Don’t “go it alone.” The long-term effects can be devastating. Call Todd E. Tkach to fight your traffic ticket and make sure your rights are protected. In most cases, you don't have to be in court on the day of your Wise County traffic ticket hearing? In most cases, it is not necessary for you to be present on the day of your Wise County traffic ticket hearing. Only if you want to go to trial is it necessary to appear for court. If you can’t be in court on the day of your hearing either because of prior commitments, work, being out of the state, or you just don’t want to take the time, no problem! Attorney Todd E. Tkach can make the court appearance for you. Even if you’re not there, attorney Todd E. Tkach will fight to have your case dismissed outright! If we can’t get an outright dismissal, we’ll aggressively negotiate to get the ticket dismissed within a few months in the future to keep the citation off your driving record. 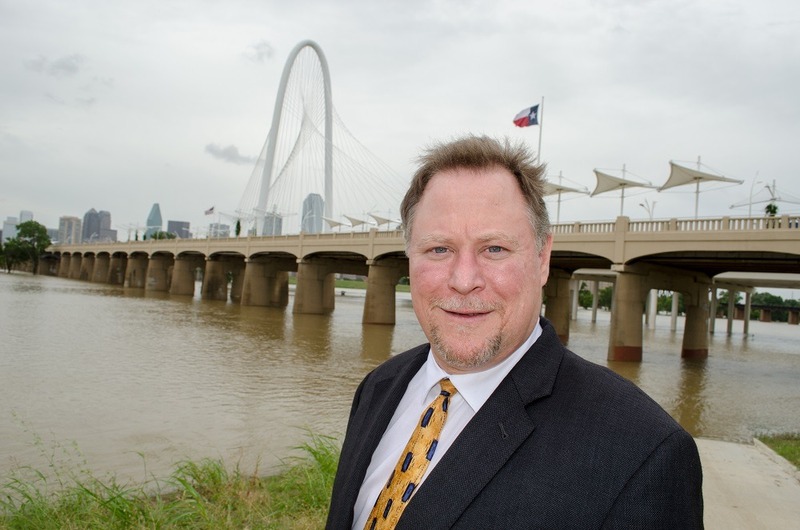 Each city, municipality and Justice of the Peace Court throughout the Dallas and Fort Worth metroplex has its own unique procedures and fine amounts for traffic tickets. The City of Wise County is no exception. Knowing the procedures and guidelines for a Wise County traffic ticket is crucial to achieving a favorable outcome. The attorneys at Todd E. Tkach, P.C. know the procedures, the substantive law, the prosecutors and the judges so that we can effectively evaluate your Wise County traffic ticket case to fight for a dismissal of the charges. Call us now at 214-999-0595 to receive your free consultation.